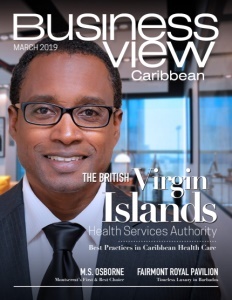 Business View Caribbean interviews Jean-Christophe Martinez, General Manager of Fairmont Royal Pavilion, for our focus on Best Luxury Resorts in Barbados. Steeped in history and timeless luxury, the Fairmont Royal Pavilion has earned high praise from visitors as the “jewel in the crown of Barbados.” The gorgeous, 11-acre, seaside estate on the island’s Platinum coast is unparalleled – where breathtaking vistas are only outshined by the attention given to indulging a guest’s every whim. Indeed, in this romantic incarnation of paradise, wishes and dreams really do come true. The Fairmont Royal Pavilion is the latest chapter in a star-studded legacy that began in 1940, when the resort originally opened (with 12 rooms) as The Miramar Hotel. 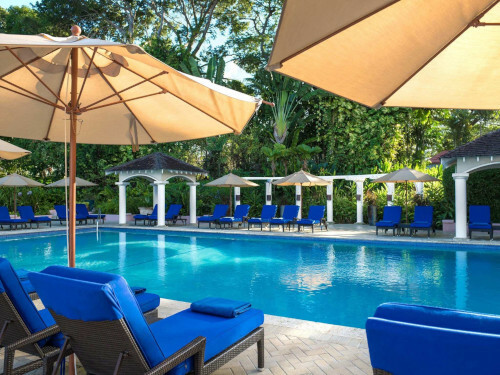 It was the first hotel to be constructed on the famous West Coast of Barbados – right next door to the winter estate of Sir Edward Cunard of the renowned Cunard Steamship Company. In 1987, U.K. power couple, Lynne and Mike Pemberton, bought The Miramar, after which it underwent a whirlwind renaissance and became the luxurious Royal Pavilion. Eight years later, the Pembertons launched the Barbados chapter of Variety Club International by hosting a garden tea party auction at Glitter Bay. Guests included Joan Collins and Lord Banfield, and watercolours by Prince Charles were sold to raise in excess of $40,000. In February 1996, the Royal Pavilion was acquired by Princess Hotels, and became a Canadian Pacific Hotel after the merger of those two brands in 1998. Then, in October 1999, following the acquisition by Fairmont Hotels and Resorts, the property was renamed The Fairmont Royal Pavilion. A multi-million-dollar renovation in 2017 dramatically lifted the hotel to ultra-luxury standards, replete with enviable bespoke furnishings and high-end finishes. 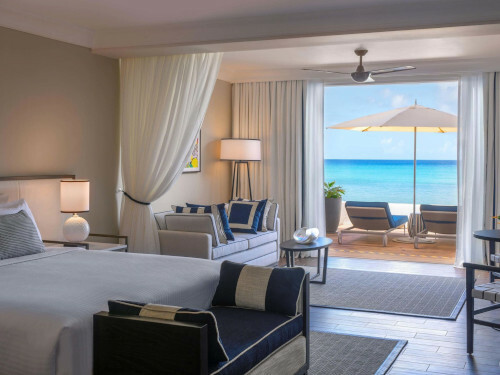 Today, the resort boasts 72 exquisite beachfront rooms directly facing the sea, plus the magnificent, three-bedroom Sea View Villa, and is a AAA Four Diamond favorite destination for vacationers. 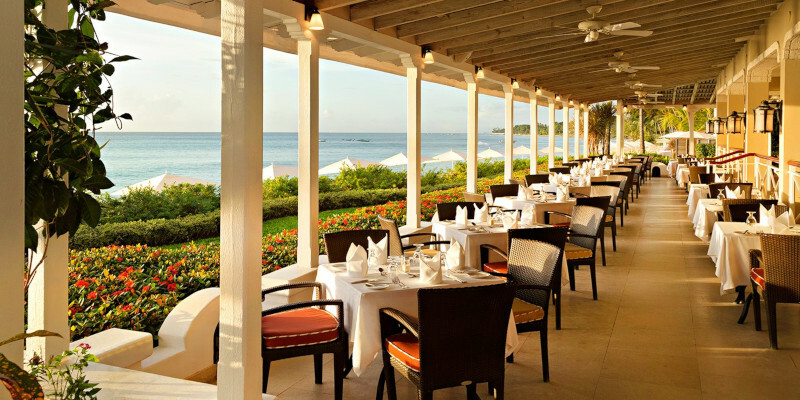 The culinary experience is as unique and inspired as Barbados itself. From casual to fine dining, from locally inspired menus to themed dinners, the cuisine will delight any palate and every occasion. The hotel employs 198 team members. That number varies with the season – high season, being mid-November to April. The U.K. market is strongest for visitor traffic, followed by the U.S., Canada, and Germany. The summer isn’t as busy, but there is a fair amount of North American and local traffic. Convenience is a key attribute. Travel from the airport is a breeze; it’s only about a half hour drive to the resort. 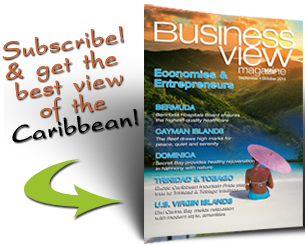 Five minutes from the hotel is a large shopping center in Holetown and the capital city of Bridgetown is only about eight miles away. The Fairmont Royal Pavilion also works with a local company that takes excursions to the city, to catamarans, and a myriad of other activities and offerings that are all available through the hotel concierge.